Anthony Martial struck the winner for Manchester United as they snatched a 1-0 win from Tottenham at Old Trafford to cement second place in the Premier League. Henrikh Mkhitaryan’s breakaway effort secured an identical result in this fixture last season after Spurs had dominated possession and it was a similar story here as Mauricio Pochettino’s men struggled without injured talisman Harry Kane. The England man was absent with a hamstring injury, Pochettino choosing Son Heung-min over Fernando Llorente in attack, but Pep Guardiola’s branding of Spurs as “the Harry Kane team” may be revisited after they failed to break down United’s stiff defence. 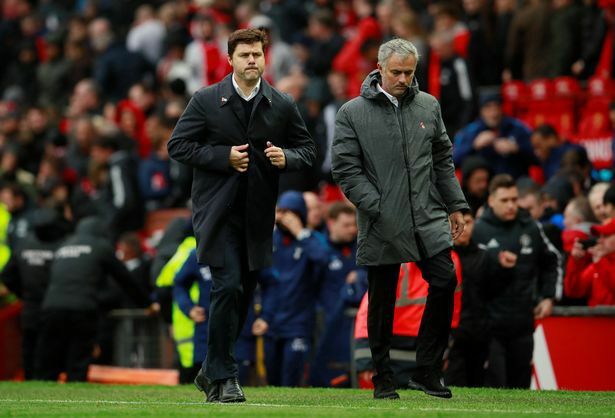 Pochettino has suggested Kane could return for Wednesday’s Champions League clash with Real Madrid at Wembley and they will need his goal threat on this evidence.